Do you require door installation Chesapeake Beach, Maryland services? Then, call King Door and Lock Maryland and DC! You will find yourself surprised by our extensive list of door installation and repair solutions for domestic and commercial properties. Do you wish to change out your old entrance door? Is your garage door in such poor condition that you can rarely get it open anymore? It’s always particularly significant for businesses to own functional and presentable entry doors. Whether you have to have a door for your business or home, or a brand new garage door, King Door and Lock is your quick and pleasant, 24/7, quality Calvert County, MD door installation service provider. If your business requires garage door repair or replacement, then we are your trained and experienced experts for commercial garage door replacement and repair. Make the most of our complete door expertise so that our business will help your business to prosper. Our fast and helpful professionals can get to your place of business quickly to tell you precisely what your repair or installation will cost. We will then take care of the job efficiently and with courtesy so that you can give attention to your own company. For those who currently have a garage door ,however it just isn’t functioning properly, get in touch with King Door and Lock for superior garage door repair in MD and Washington DC. For the exact same factors provided above, you need to make sure that garage door repair is finished correctly the very first time to guard the valuables you store inside. Our knowledgeable professionals will examine your garage door and tell you if it needs replacing or perhaps if it can simply be repaired. We will let you know what it will cost you in advance so there won’t be any surprises when you receive the invoice. Redesigning your household in the Chesapeake Beach region and putting in a garage? Let King Door and Lock Maryland and DC handle your garage door installation. Because of the various parts of a garage door, it is crucial for you to seek the services of specialists for the job. The garage is the ‘home’ for your car and various other possessions that the majority of us keep in there: lawn mowers, leaf blowers, bikes, etc. Given the number of belongings that many of us store in our garages, it is important that they’re secure and working effectively. You want the task done properly by our experienced technicians with their advanced tools and equipment which enable them to take care of any job of this nature. Our company has all of your dwelling door demands covered. Is your storm door falling off its hinges or seen a lot better days in terms of the condition the door is in? Our skilled and reliable specialists will examine the issue and afterwards, tell you exactly what a storm door repair or storm door installation will cost. The entry door of your house is the initial thing visitors see as soon as entering. An entrance door replacement from King Door and Lock will surely radiate quality, skillfulness, and professionalism to anybody that walks through it. King Door and Lock is honest about our front door replacement and repair prices. You’ll have certainty with the work that we do when installing one of your doors. 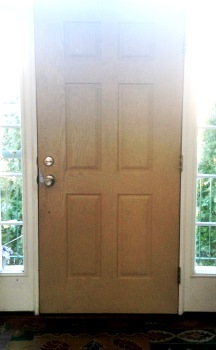 In addition to repairing entry doors, we are able to also deal with back doors or patio doors. Depending upon the situation of the sliding glass door or patio door, we can either fix it or change it out entirely. King Door and Lock is well known for supplying the preferred door installation Chesapeake Beach, Calvert County support. 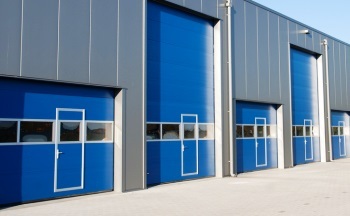 Door installation, repair, and replacement specifications for commercial properties are generally greatly distinctive from the requirements of a home, therefore you should definitely seek the services of specialists in industrial door repair and installation. Your business may have multiple front doors that must operate smoothly next to each other when a customer arrives and exits. These particular doors will more than likely contain considerably more advanced incorporated locking systems in comparison to the standard door knob with a key hole seen in nearly all houses. At King Door and Lock Maryland and DC, we’ve been servicing storefront doors for over a decade. We also know, as a business ourselves, that you are continuously keeping track of your financial well being. King Door and Lock Maryland and DC is certain that you won’t find a better value pertaining to door replacement or door repair compared to what our company delivers. If you locate a cheaper company to do the job, then they will be cheaper in caliber too. You are going to value our up front rates combined with our quick, friendly service, so you’ll understand your door requirements will be taken care of efficiently and there will be no hidden fees on the invoice. The workers at King Door and Lock Maryland and DC are your door industry professionals. For door installation Chesapeake Beach, Calvert County assistance, contact us. We provide full door expertise: door installation, door repair, door replacement. Our 24 hour door assistance includes residential doors, industrial doors, and garage doors. Together with external door repair, installation, or replacement we are also able to repair or install internal doors in a dwelling or business. Interior doors we specialize in installing and repairing comprise pocket doors, closet doors, and bedroom doors. Our technicians will first of all consider precisely what needs to be carried out. You may not necessarily require a new door installed. It may be a question of a door jamb repair or a door hinge repair. In case the door frame is faulty, then maybe a door frame repair is all that’ll be needed. Our professionals will size up the situation, find out what actually must be completed, and after that, offer you transparent rates so you will have the knowledge you will need to make an informed decision. If you’re in Chesapeake Beach and the vicinity, contact us today. We’re here for you 24/7/365! Our Door Installation Chesapeake Beach Services in Maryland https://kingdoorandlock.com/maryland-door-installation/calvert-county/chesapeake-beach/ 3.6/5 based upon 17 reviews.